Hot Summer nights mean cool, refreshing meals. This is so simple and delicious. This makes a fantastic, healthy lunch or a light and easy dinner. Need more substance? Add a cooked, chilled pasta or wild rice. The best part about it? You only have to cook one item. Cook the salmon according to package instructions. Arrange the washed lettuce leaves on a plate. Drizzle with the Dijon Vinaigrette. 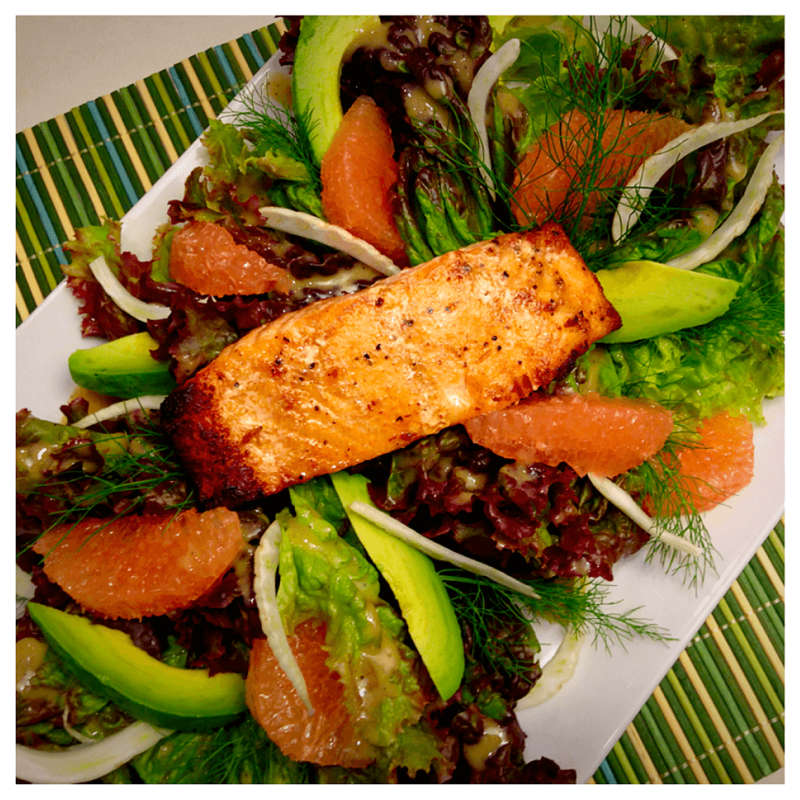 Top the lettuce with the Grapefruit, Avocado and Sliced Fennel and Fennel Fronds. Top with the cooked Salmon. Sprinkle the salad with salt and pepper.